Drop leg platform is fully adjustable in size and length. Custom fit for SIG P220/P226 pistol (without flashlight). The lock and engages the trigger guard and won\'t let go until you release it. Comes with single stack pistol magazine case and compact light carrier. Magazine case works with single row 9mm to .45 Cal magazine, with built-in tension string to hold magazine in place. 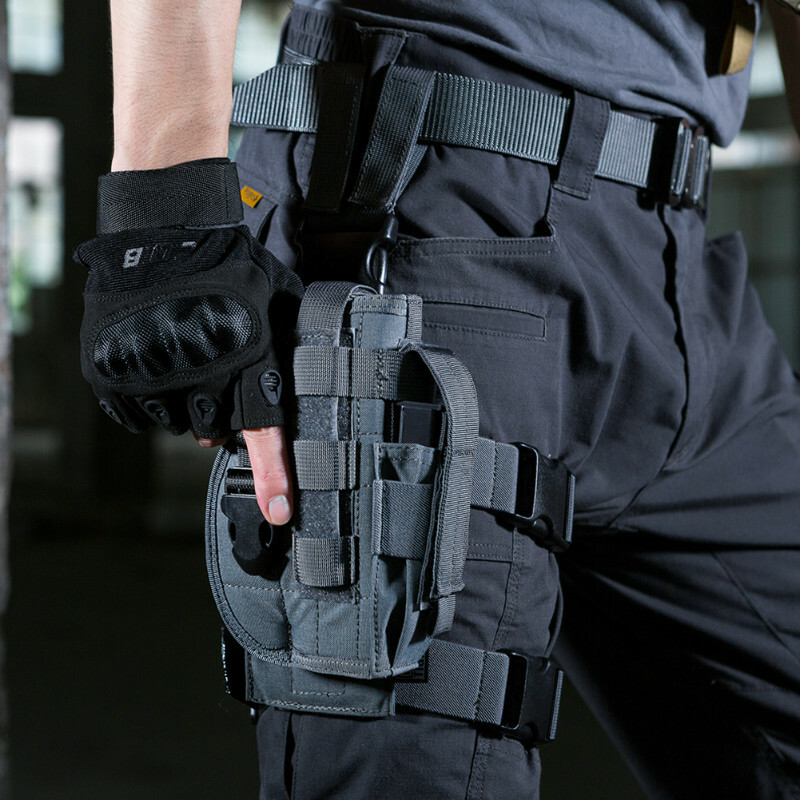 Compact light carrier designed to carry the smaller personal sized flashlight such as 6P and 6R, with built-in tension string to hold flashlight in place. Custom fit for Colt 1911 pistol (without flashlight).